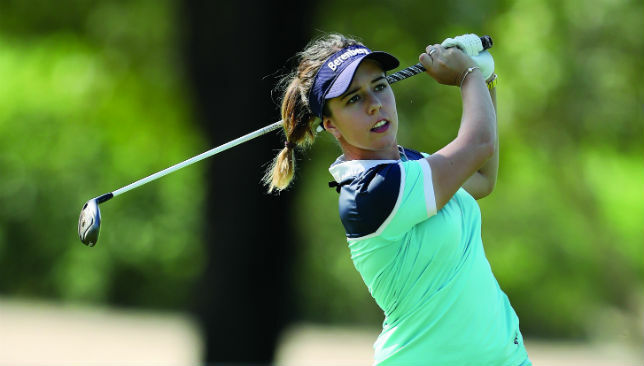 ​Featuring a blend of youth and experience, the Omega Dubai Ladies Classic promises to deliver another shining example of the winds of change across the Ladies European Tour when the tournament gets underway on Wednesday. Bursting at the seams with talent, young prodigies such as Georgia Hall, Angel Yin, Aditi Ashok, Charley Hull, Camille Chevalier, Celine Boutier and Klara Spilkova will go out with a slew of seasoned campaigners, providing first class golf entertainment for fans at the Emirates Golf Club. In a buoyant mood after racking up six top-10s, including a second at the Fatima Bint Mubarak Ladies Open, England’s Hall has already assured herself the Ladies European Tour Order of Merit title. France’s Chevalier, the winner of the Hero Women’s Indian Open, still has some work to do before sealing the Rookie of the Year honours. In one of the major highlights of the tournament, In-Kyung Kim will be looking to wrap up her season with another successful shot at the title and become only the third multiple winner of the season-ending Ladies European Tour event in Dubai. Next stop for the Tour is the season ending Omega Dubai Ladies Classic staged at the stunning @EmiratesGC @OMEGAGolfDubai. Kim, the winner of the Ricoh Women’s British Open, who first won the event in 2009, will have her work cut out as the 108-player field is packed with potential winners, who will be itching to step up to the plate and challenge the South Korean ace. The grand dame of the women’s game, Laura Davies, American powerhouse Brittany Lincicome, Hull, Lee-Anne Pace and Catriona Matthew, the first woman to be included in Scottish golf’s Hall of Fame, will be among the strong contenders for the redesigned winner’s trophy that emulates the look and feel of the iconic Dallah, the symbol of supremacy at the Omega Dubai Desert Classic. How the script unfolds, only time will tell, but one thing is sure, the tournament will throw up some enduring memories to add to its catalogue of classic moments. Providing a distinct ‘local’ flavour to the event will be Morocco’s Maha Haddioui, the first Arab golfer to ply her trade on the Ladies European Tour. And she believes a good showing from her could well mark a watershed moment for women’s golf in the Arab world. “It’s a little girl’s dream, even if you are 28, you still have a dream to win in the region — Dubai or Morocco. It’s something really strong in my heart,” she said. Her game heading in the right direction, Suzann Pettersen returns to the Omega Dubai Ladies Classic early next month, hoping to crack the winner’s circle and end the year on a high note. Some good vibes on her side, a two-time major winner Pettersen racked up a creditable third at ANA Inspiration among her four top-10s on the LPGA Tour and a second at Ladies European Tour’s Lalla Meryem Cup, signaling her return to form. Currently ranked 30th in the world, the 36-year- old Oslo native will be looking to summon her top game and end a winless spell since the 2015 Manulife LPGA Classic when she joins the starting line-up at the Omega Dubai Ladies Classic to be held at Emirates Golf Club from December 6 to 9, seeking a revenge of sorts after finishing in a tie for 35th in her maiden appearance last year. “I show up to win tournaments, get better and break my own records. I hate losing. I still feel the desire every morning when I wake up to go out and try and become better than I was yesterday,” said Norwegian ace, who boasts 22 professional wins, including seven on the Ladies European Tour. “Fortunately, we’re in a sport where you have age on your side. There’s always bits and pieces you feel like you can do better, improve. So, losing is probably my biggest motivation,” said Pettersen, who reached a career-high No.2 in the world rankings after her victory in the Evian Championship in 2013 and held that position several times. “It was my first time in Dubai last year, but the experience was just amazing. They have a great field, a great course and the players feel welcomed. The whole place has a really buzzing and pulsating atmosphere. I look forward to visiting the vibrant city and hope I will be in mix coming down the final stretch. 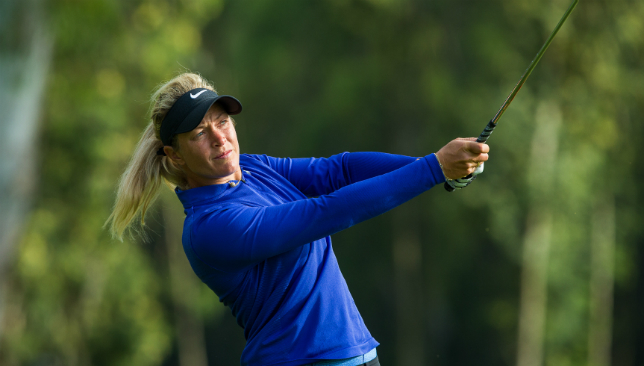 “However, for that to happen, it would take something special to beat the challenge, but I will try my best and see what happens,” said Pettersen, who has fully recovered from a slipped disc that forced her to withdraw from this year’s Solheim Cup. “If you can’t even be 90 per cent there’s no point. So you have to kind of be honest with yourself, look yourself in the mirror and say are you fit enough to go or not,” said the Norwegian who has featured in the biennial golf tournament for professional women golfers eight times. It's been a special season for Rahm. 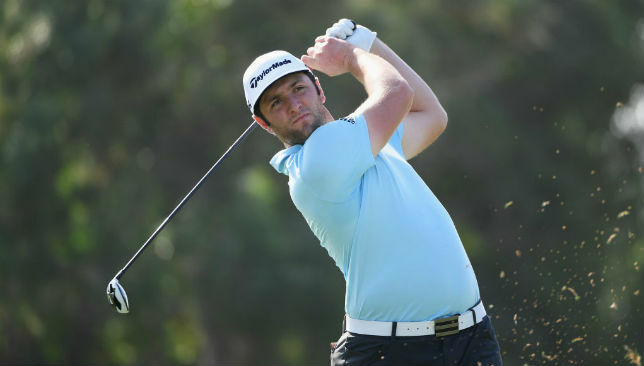 He doesn’t step onto the Earth course proper until Thursday, but Jon Rahm’s otherworldly first year as a professional yielded another accolade on Tuesday as he was named European Tour Rookie of the Year. The young Spaniard burst onto the scene at the 2016 US Open, competing while still an amateur, and finished in a tie for 23rd. He entered the tournament at Oakmont Country Club ranked 766th in the world – 17 months on Rahm has rocketed 761 places up to fifth. He’s notched up some fine victories, including the PGA Tour’s Farmers Insurance Open in January, and his maiden European Tour win, the Dubai Duty Free Irish Open, in July. He enters the DP World Tour Championship fourth in the Race to Dubai rankings, and even though he can’t win the overall title, he will leave Dubai with at least one piece of silverware. Not bad for a player who didn’t even begin 2017 with a European Tour card. 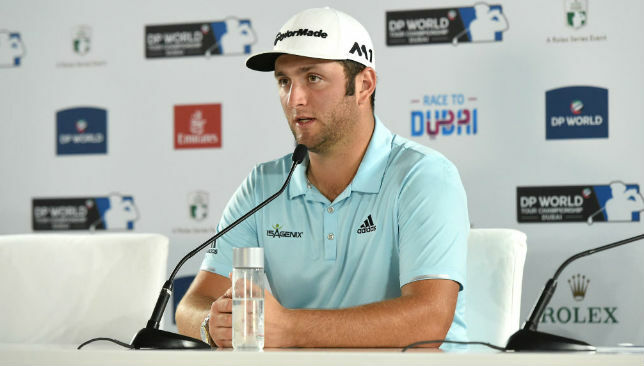 “Just to be here, in this position, I’m really happy and blessed, and it’s something I’m really proud of,” Rahm, 23, said as he received his rookie honour from European Tour CEO Keith Pelley at the beginning of his press conference at Jumeirah Golf Estates. “It’s a very, very satisfying feeling. If you told me at the beginning of the year I was going to be here at fourth in the Race to Dubai standings, playing the way I’ve done, Rookie of the Year when I wasn’t even a member at the start of the year, it’s a truly special feeling. When he looks a little closer Rahm will find he’s in excellent company. Tony Jacklin, Nick Faldo, Jose Maria Olazabal, Colin Montgomerie, Thomas Bjorn, Sergio Garcia, Ian Poulter, Martin Kaymer and Brooks Koepka are previous recipients. And although he said luck had played a big part in his remarkable debut season, he revealed he’s been preparing for it for years. “I feel like every star or planet that needed to be aligned, did, for me to accomplish this,” said Rahm, a native of Barrika, near Bilbao, in the Basque Country. The 23-year-old speaks to the media on Tuesday. “I really don’t know why. I’ve gotten myself into a situation where I could get something out of a lot of tournaments. “It’s just preparation. I’ve been getting myself mentally ready for my rookie year a long time and, like a few others, I’ve been able to have a really successful rookie year. I just hope it’s not the highlight of my career. “It’s a question I feel like I answer every week (are you surprised with how rapidly you’ve progressed). Never in a million years would I have expected to have accomplished what I have and be in the position I’m in. So busy has his first year as a pro been, that Rahm admitted he hasn’t even had the chance to properly celebrate his stellar campaign with many of his friends and family back home, having only spent a week of 2017 in Spain – and that was in the south, preparing for The Open. “I haven’t been there (home) yet, I don’t know,” said the Arizona State University graduate, whose father Edorta was in attendance at the press conference, when asked what the reaction had been in Barrika. “The only week I was able to be in Spain was after Ireland and I was in the south of Spain, trying to practice for The Open.